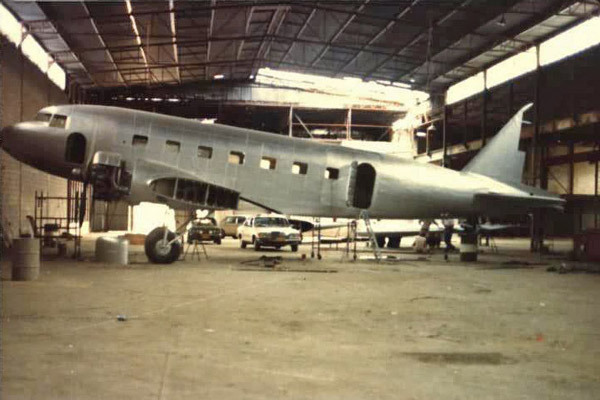 In 1979 The Rotary Club of West Albury, many of whom were aviation enthusiasts, embarked on an ambitious project to purchase the derelict DC-2 from Bankstown, Sydney and restore it as a memorial to the Uiver Story as a part of the club’s 75th Anniversary. 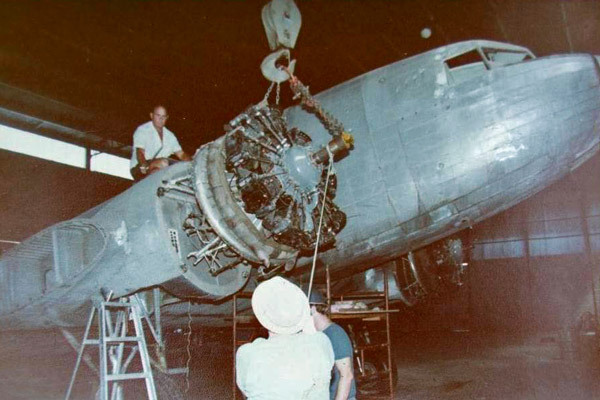 The DC-2, purchased for $4,500 from Rotary’s fundraising activities, came from Sid Marshall, and was in a poor state, having been previously dismantled. 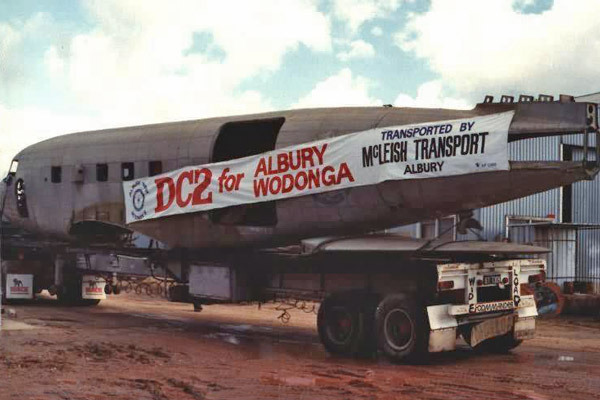 The Rotarians had actively sought to find any available DC-2 and were aware that this was the oldest surviving Douglas commercial airliner in the world and worthy of restoration to become a significant Albury monument. Geoff Ross and Adrian Friday made the journey to retrieve the aircraft and returned with two semi-trailer loads, making an impressive sight as the large airframe made its unceremonious way down Dean Street to be housed in a shed on the causeway. The temporary location allowed for the wings to be reattached and restoration completed over successive months. 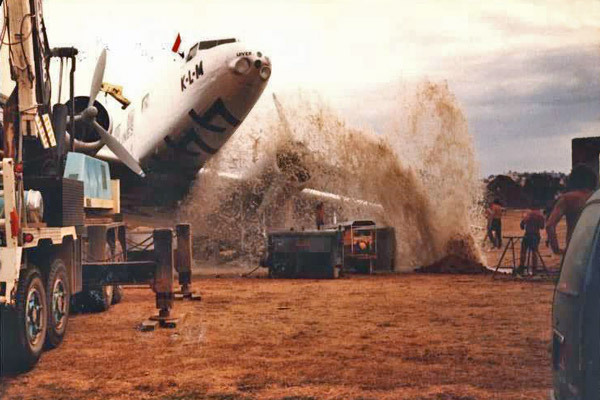 The wings then had to be disassembled again for its eventual relocation to Albury Airport. The Rotarians had arrived at a concept to display this massive aircraft on poles, as was a common trend in the ‘80’s as a way of displaying these important aircraft as prominent and permanent monuments. 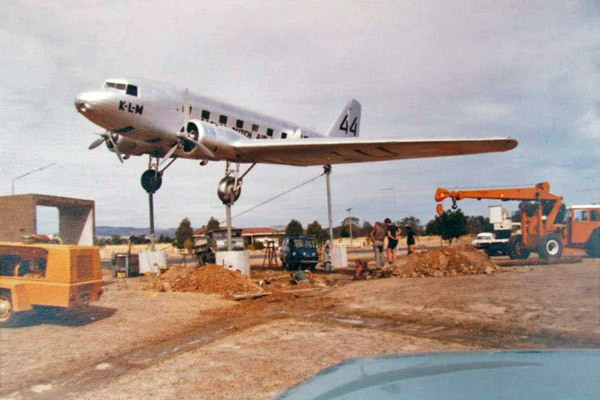 Many RSL clubs and rural communities have their own “plane on a pole” as a public monument in tribute to Australia’s Returned Soldiers. 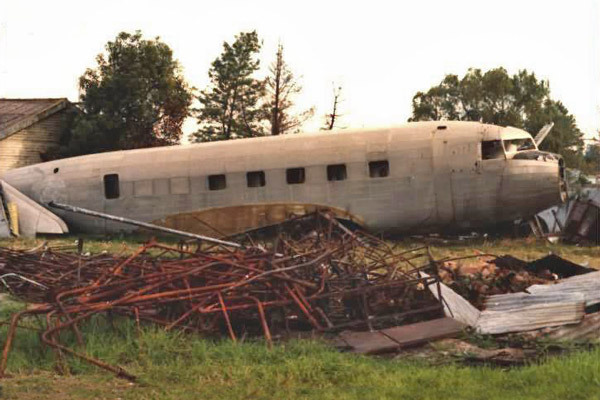 That the DC-2 was being used to commemorate a significant civilian event, prior to WWII, as well as being recognised for its military history, adds to its unique significance as a memorial. The working group managed to raise this large aircraft onto three poles, located just to the east of the Airport Terminal. 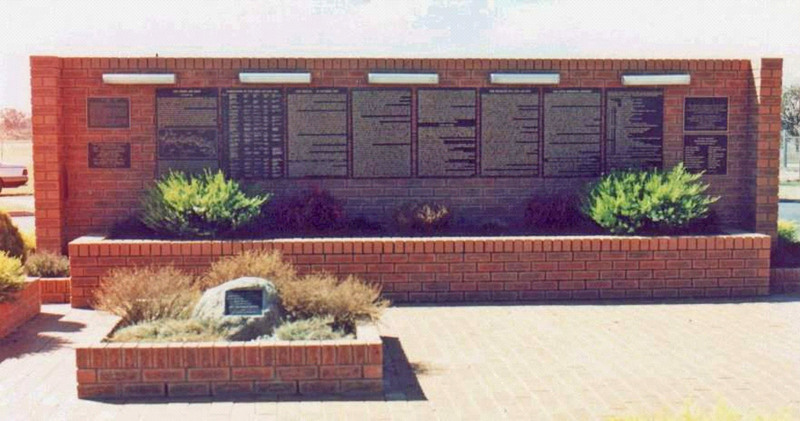 A memorial wall and garden were built at the base, with the Uiver story immortalised. The monument was officially dedicated on Sunday, 2nd March, 1980 by Sir Zelman Cowen the Governor General of Australia, with the Albury Mayor, Alderman John Roach. The Uiver Memorial became a distinctive landmark for all those flying into the town, an awe-inspiring “sculpture” that many tourists and locals came to identify with Albury for 20 years.